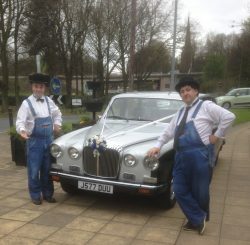 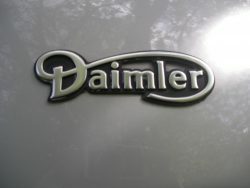 The Daimler D.S. 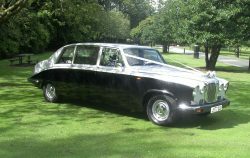 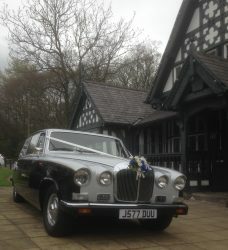 420 state limousine finished in silver and black is our recommendation for delivering your large groups of guests or perhaps a large number of bridesmaids. 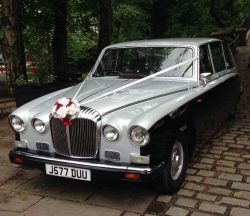 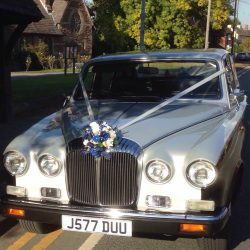 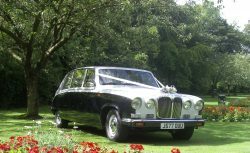 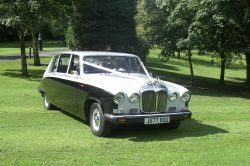 Seven guests can be seated in comfort in this vehicle, making the limousine's spacious and luxurious interior the ideal wedding carriage for your ushers and or principal guests. 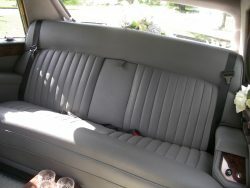 Two of the rear seats can be folded away which makes a vast area for those brides with traditional full bridal gowns. 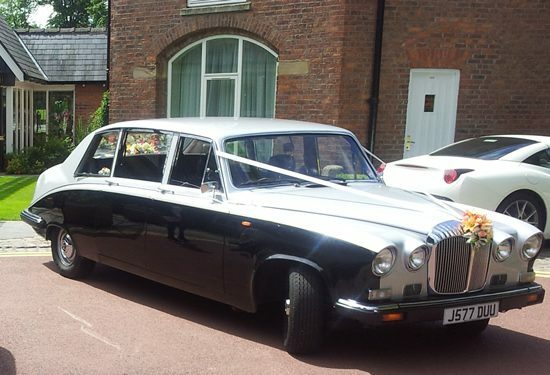 This type of vehicle is frequently used by her majesty the queen on her state visits. 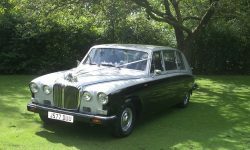 Most recently used in the transportation of the page boys and bridesmaids for prince harry and Meghan’s royal wedding. 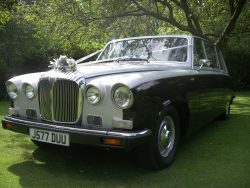 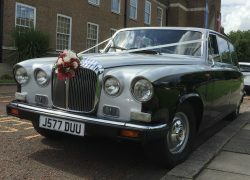 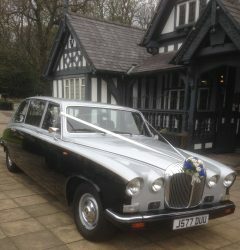 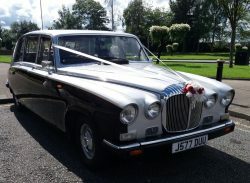 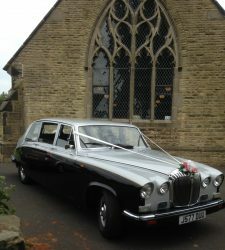 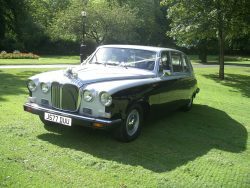 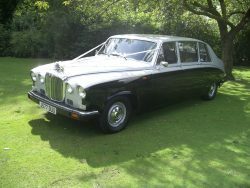 The chauffeur can be screened off by the use of a glass partition making the rear of the vehicle totally private. 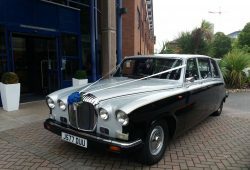 The limousine interior has been carried out by master coach builders to extremely high standards and therefore promises a stylish and sumptuous way of arriving at your most special occasion. 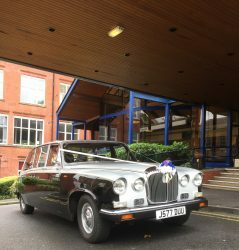 Lamb’s wool rugs cover the floor and handmade silk flowers decorate the interior and exterior of the car individually made to suite the colour scheme of your wedding by carol herself, while silk ribbons decorate the exterior to complement the colour of the car.